For the first time, and showing real progress as a club, we had three crews out in this year’s Pair’s Head. As well as the “established” boats of Benn and Tim and Steve and I, Mike and John also raced in a double. Mixed fortunes for us, with Steve and I really pleased with our result but the others a little less so. For the Tideway, the conditions weren’t too bad, although the amount of debris in the river as we were marshalling was a bit of a concern (including a wooden pallet!). There was a good stream running, winds were fairly light (although some nasty gusts) and not too cold – and following the trend of recent events, the marshals were friendly and polite. Because of an accumulation of points during the last season, Benn and Tim had to enter their pair at Senior level. 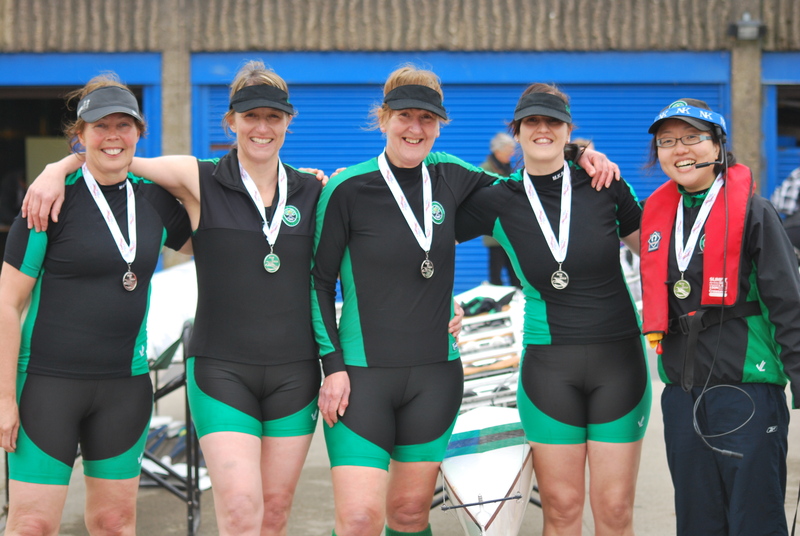 Given that they were racing against crews that probably train together regularly, they were going to be up against it as they’d not rowed this boat since Peterborough. Despite this, they put in a reasonable time (13:41.33) albeit finishing last of thirteen crews (and ahead of many of the IM1 crews). 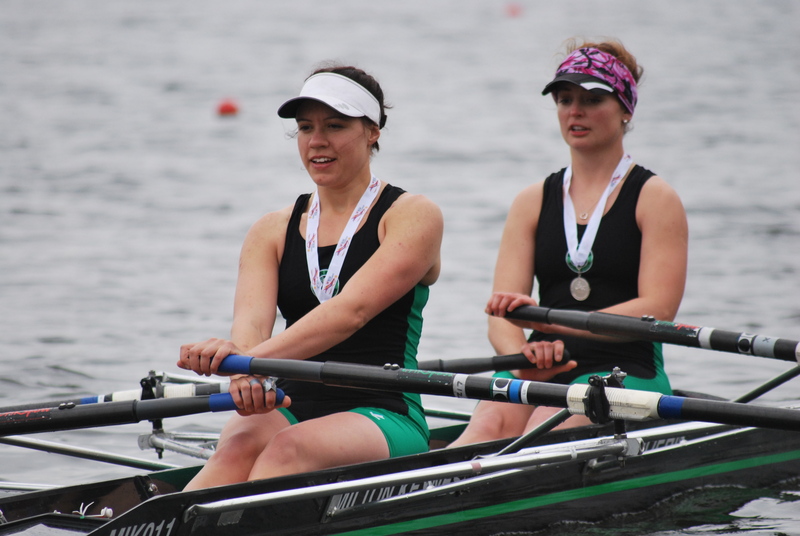 Perhaps not their best race but for the first time as a Pair on the Tideway, a great effort. Following the long tradition in MKRC of putting together scratch crews, Mike and John went out as a double for the first time on the Saturday morning before the race! Up against some tough opposition and with Mike steering the Tideway for the first time (and first time for both in a double or pair) this was more about taking part than racing. Despite a close encounter with one of the red buoys, they finished not too far off the pace, in a time of 13:18.71, again finishing last in the IM2 category but a promising first outing. We weren’t sure how we would do in this year’s race; we’d seen slow but steady progress over the last couple of years, moving from last to the bottom quarter of the event but we felt we’d come on a bit in recent months. Against this, in the line up we had some very quick crews following us, so (me at least) worried we’d be overwhelmed. In the event, we got off to a good, solid start and could see that the Dart Totnes boat behind us wasn’t making any gains on us. Picking up a good rhythm, we were definitely holding our own, although some of the strong crews were gradually closing in. Around half-way, the Walton boat (eventual winners) did finally overtake us but that was the only one until around 200m from the end; here we were caught by two crews (Poplar Blackwell and Sons) who were gong at it hammer and tongs. We kind of got pulled along with this and really wound it up for the end, with neither of these two (who finished second and third respectively) making any real ground on us. This definitely pushed us over the last couple of hundred metres, right through to the finish; to say I was tired is a mild understatement but we felt we’d really given it a go. 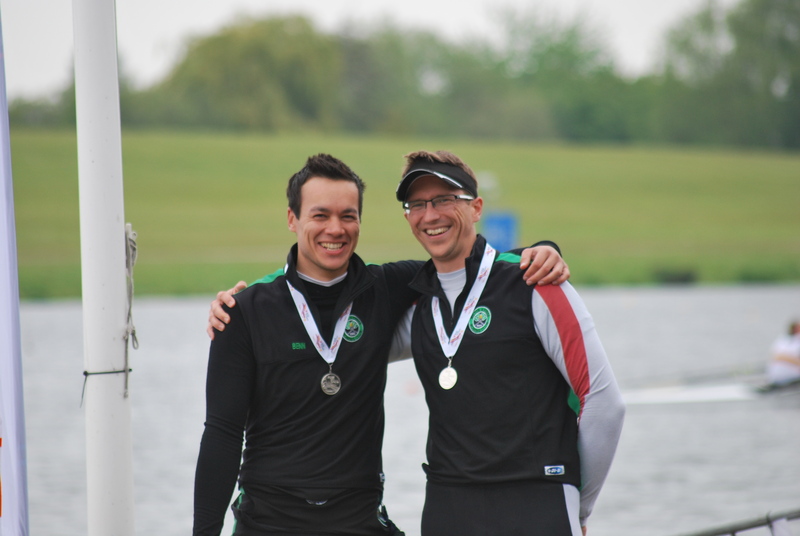 One very nice touch was the bow-man of the Poplar boat calling to us at the end “good sculling at the end, guys” – he didn’t need to say this and, coming from him (current GB Masters champions) was a real fillip. Anyhow, when the results came through we were delighted! Whether it was being pushed so hard at the end, but we came in 10th of 20 – a top half finish. This was way above anything we’d managed before and put us right in the mix, beating several crews who’d seen us off in previous years. Discounting the top five crews who were miles ahead, our time of 13:32.66 put us just 11 seconds behind 6th place! This gives us a real target for next year and does kind of suggest we have made some real progress of late. First, thanks to our support crew! Without the help from Paula, Andi and Clare it would have been much harder to get boated and to de-boat at the end. It really is appreciated (and I know I keep saying it, but it is one of the things that seems different about MKRC, the way we all support each other). This year we boated from Putney Town RC (right next to Chiswick bridge – nowhere near Putney…) and must say thanks to them as well. The only bad thing about this was the row back – it’s hard enough when it is “just” to the Civil Service but, boy, this seemed to go on for an eternity. Overall, a good day on the Tideway – really pleased with our double and although the others were a little disappointed in their races, good prospects for the future from the other guys.